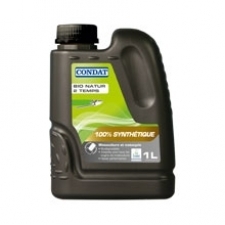 With 5 % of its turnover dedicated to the R&D, CONDAT proposes innovative lubrication solutions and recommends to its customers the best lubricating solution, in terms of performance, economical and environmental constraints. 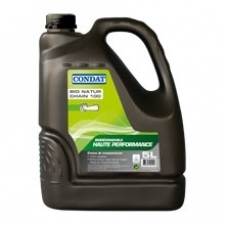 Certified ECOLABEL, BIO NATUR 2 Temps is an 100% synthetic oil formulated for a better lubrication of two stroke engines used in motorcycle, mopeds, scooters but also in motoculture equipment (chain saws, lawn mowers, clearing saws,...). Certified ECOLABEL, BIO NATUR CHAIN 100 and PRO chainsaw oils are compulsory for the lubrication of chainsaws used in natural and sensible areas such as forests situated near lakes, rivers but also for the lubrication of all the mechanisms with lost greasing. 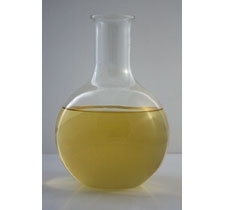 Certified ECOLABEL, the hydraulic oil BIO NATUR HYDROLABEL is a high quality oil, biodégradable* and not classified toxic for the environment. 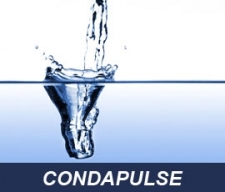 CONDAPULSE is a high performance additive, allowing to increase the performance of machining fluid, for example for the production of parts particularly difficult or for operations on hard alloys (stainless steel ...) or stuck alloys (aluminum, ...). 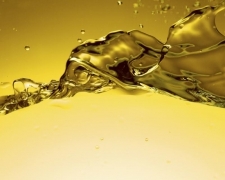 MECAGREEN metal working oils are innovative micro-emulsions that have taken two years to develop by CONDAT laboratories. 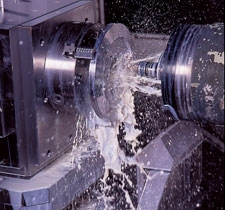 MECAGREEN 450 is a premium soluble oil for metal woking. The lubricating phase is a complex synthetic esters of vegetable origin.